With six points and 8.5 games, Island Park has taken a clear lead in the metropolitan men’s senior A pennant series after the second round, played on Saturday. The Waldronville golfers lead Taieri Lakes by three points and three games while Otago is third with a game in hand. Playing at home, Island Park beat Taieri by a convincing 4.5 to 1.5 margin. 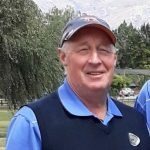 Taieri’s Ian Boath was the only Mosgiel winner, beating Lawrence Graham by 2 and 1. Phil Hawkins also featured for Taieri, halving his match with Jodin Johnston, but the remaining matches went the home team’s way. At No5, Mike Wray beat Blair Bennett while Phil Bungard required 17 holes to beat Matt Mercer. 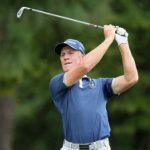 Former St Clair stalwart Chris Snow was too good for Taieri No2 Matt Lee, winning on the 16th green for his second win of the series. Island Park Captain and No1 Michael Minty put the icing on the cake for his team, beating Mark Andrews on the final green when Andrews missed a putt to secure the half. After a bye in round one, Otago started strongly, beating St Clair by 4.5 to 1.5. National left-handed champion Ben Patston beat Taieri Classic winner Joshua Taylor on the final green in the battle of the No1 players. Former national representative Tony Giles posted St Clair’s only win, beating Howard Maxwell by 4 and 3. Brandon Hodgson and Duncan Croudis, who are provincial representatives won their games in a convincing fashion. Sporting a Tommy Fleetwood hairstyle, former Otago representative Nick Borren made a return to local competitive golf after a stint overseas. He encountered some tough opposition and managed a half with St Clair No5 Matt Crawford. 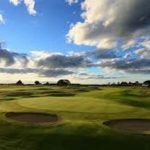 Once again, Murray Edgar showed he is the doyen of the game on the hilly Balmacewen course beating St Clair No6 Luke Wirthington on the 13th green. 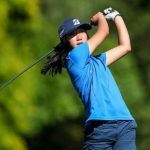 The third round will be played in two weeks’ time, when several of the junior players will return after competing in the age-group championships in Cromwell this weekend.